It is copyright © Francisco Aragón and the Estate of the late Gerardo Diego and Jacket magazine 2010. I received your nice letter shortly after you posted it. You have nothing to thank me for. We have you to thank since we were able to award a beautiful book. It’s a shame you didn’t enter Handbook of Foams… Marvelous your Handbook of Foams. In my judgement, the highest achievement of the new lyric. 1916 is a dual threshold of sorts for poetry in the Spanish language. On the one hand, Rubén Darío (1867–1916), the master of modernismo, abandons Europe to return to his native Nicaragua and dies, marking the decline of this symbolist aesthetic. On the other, a young Vicente Huidobro departs from Santiago, Chile for Paris, France to absorb the artistic innovations percolating there, intent on becoming one of its most flamboyant ambassadors. More than the literary politics and posturing playing out in Madrid, Diego’s primary field of exploration is Vicente Huidobro’s poetry and his correspondence with Juan Larrea. In April of the following year, 1921, Madrid’s newsstands are displaying the first issue of Creación, an art magazine edited by Huidobro from Paris. In it there is a poem by Diego titled “Cold,” a poem Huidobro will cite in his extensive prose piece, “Creacionismo,” which will be published in his book, Manifiestos, in 1925. In the Autumn of 1921, Huidobro writes to Diego, expressing his wish to give a talk in Madrid on creacionismo. Diego confers with a friend on the board of the Antheneum and a date is set for December. Both Diego and Larrea are finally going to meet who they consider their mentor. Larrea is living in Madrid working at the National Historic Archive while Diego, teaching high school French in Soria, will travel to the capital by train. They attend Huidobros’s lecture and notice that the ultraístas give the Chilean a cool reception. This is due, in part, to the dispute over who was the “founder” of creacionismo: Pierre Reverdy or Vicente Huidobro? 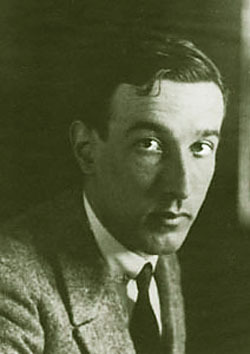 Reverdy’s camp is spearheaded by the ultraístas’ most militant activist, Guillermo de Torre,  who will publish his important study, European Avant-Garde Literatures in 1925, the year that Handbook of Foams finds its way into print. Diego remains in Madrid for only a day, so it’s Larrea who gets to talk at length with Huidobro. The author of Handbook of Foams will have his chance when he’s invited to Paris. Although relatively brief, the letter from Paris touches upon key elements of Handbook’s origins: Vicente Huidobro’s work, Juan Gris’ cubism, and music. Other information is incidental: Diego departed for Paris from San Sebastian on August 31; Huidobro was waiting for him at the train station; the weather was bad, dissuading them from any sight-seeing. A more interesting observation is that Huidobro seems to know everybody. They have a couple of meals with Juan Gris and visit his studio, and he mentions that they are set to have lunch with Erik Satie and Maurice Raynal, an art critic associated with the cubists. Gerardo Diego will go on to dedicate the longest poem in Handbook of Foams, “River Song,” to Juan Gris. Nineteen ninety-six marks the centenary of Diego’s birth and the long-standing journal, Revista de Occidente, publishes a special number titled “Gerardo Diego and the invention of new poetry”, which includes an article titled “Gerardo Diego’s cubist fascination.”  The article discusses the correlation between Gris’ paintings and Diego’s verse, above all in Handbook. I saw at the Opera Boris Godunof, Moussorgsky’s famous opera. Music that is purely musical has never moved me with such intensity, like certain passages that were virtually paradisical. I almost wept with joy, not with melancholy or enthusiasm, which is how I usually get drunk with music. This summer’s great sentimental failure marked me more than I thought; thankfully this trip has been a purification. But now, in the obligatory solitude of this indifferent, hard-working, cheery, superficial city, pessimistic and misanthropic thoughts, when not of a lower nature, assault me. I’m convinced I’m an ill-bred child and that without any luck, my life will be empty and miserable. It’s been 20 days with no sign of friendship or love. If this doesn’t change soon, I think I’ll emigrate. Meanwhile, and filled with resignation, I read novels and go to the movies: two absurdities. Diego has just turned 26. With the exception of “Spring” — which opens Manual de espumas — he is about to write, under a melancholic spell perhaps, the twenty-nine poems that will complete the collection that concerns us. That summer Diego is living in a beach bungalow in the coastal city of Gijón in Asturias, from which he is able to glimpse the Cantabrian sea. Towards the end of the letter he says: “I haven’t written anything new.” Juan Larrea, his dear friend and fellow creationista, would have been the first to know if he had. This letter was reproduced in a special homage issue of Punta Europa #112–113, Madrid, in “Tres Cartas a Gerardo Diego”. Antonio Machado is referring to the National Poetry Prize, which Gerardo Diego won that year with a manuscript of traditional verse titled Poemas Humanos. He did not enter Handbook of Foams because it did not have the minimum number of required pages. 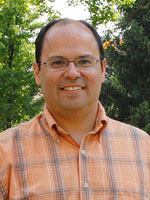 The scholar in question is José Luis Bernal, whose edited volume, Gerardo Diego y la Vanguardia Hispánica (Universidad de Extremadura, 1993) was a key source for this piece. Cited in “Poetry is a Heavenly Crime,” David M. Guss’ Introduction to The Selected Poetry of Vicente Huidobro (New Directions, New York, 1981). Huidobro’s “Manifiesto non serviam,” cited in “Teoría del Creacionismo” by Antonio de Undurraga, which prologues Poesía y Prosa (Aguilar, 1957). For Huidobro’s exploits in Paris, David M. Guss is a place to start. From there, René de Costa’s book, Huidobro: The Careers of a Poet (Oxford University Press, 1984), is a thorough study and account. He also affirms that it was at Huidobro’s house that ultraísmo, Spain’s avant-garde movement of the period, was “incubated.” Apollinaire y las teorías del cubismo (EDHASA, Barcelona, 1967). René de Costa’s paper, “Posibilidades Creacionistas,” is a primary source for much of this. It can be found in the aforementioned Gerardo Diego y la Vanguardia Hispánica, 1993. “Un Gran Poeta Chileno: Vicente Huidobro y el Creacionismo” (1919) by Rafael Cansinos-Asséns, included in Vicente Huidobro y el Creacionismo edited by René de Costa (Taurus Ediciones, Madrid, 1975). The first exhibition devoted entirely to ultraísmo was held in Valencia, Spain, between June and September of 1996 under the organization of Juan Manuel Bonet, a specialist in the movement who prepared the text and notes for the handsome catalogue, which included a complete English translation. El Ultraísmo y las artes plásticas, Centro Julio González 27 Junio — 8 Septiembre. Montes would later abandon the ultraist aesthetic, and adopt fascist politics. La Biografía Ultraísta de Gerardo Diego by José Luis Bernal (Universidad de Extremadura, Cáceres, 1987). This 60-page study is another primary source for much of this. This citation is taken from the article “Vicente Huidobro en Vanguardia” in Revista Iberoamericana, v. XLV #106–107, 1979. Further citations from this study are indicated in the text in parenthesis, i.e. (Bernal 41). Robert Guerney, in “El Creacionismo de Juan Larrea,” is the Hispanist in question, in Gerardo Diego y la Vanguardia Hispánica, 1993. David Bary, in his book Nuevos Estudios sobre Huidobro y Larrea (Pre-textos, Valencia, 1984) cites the interview in issue #18 of L’Esprit Nouveau, in which Huidobro names Larrea and Diego as creacionistas. Many years later, Guillermo de Torre writes that his position on Huidobro had to do with his youthful activism and his way of countering Huidobro’s ego, which even his friends admitted was considerable. 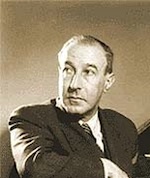 In fact, in 1962, he writes an article — “La Polémica del Creacionismo: Huidobro y Reverdy,” included in Vicente Huidobro y el Creacionismo (Taurus) — in which he persuasively argues that neither Huidobro nor Reverdy had a monopoly on their avant-garde poetic; painters and writers of the period were saying more or less the same thing: that the artist had to create a new reality and not describe or imitate the reality before them…. “Desteñidas Esquelas. Charlas Líricas. Algunas cartas de Gerardo Diego a Juan Larrea” commented by José Luis Bernal and Juan Manuel Díaz de Guereñu, Insula #586, 1995. Revista de Occidente #178 Marzo, 1996, a special issue titled “Gerardo Diego y la invención de la poesía nueva” The article’s author is Teresa Hernández. Just before citing a brief fragment of Huidobro’s lecture in Madrid in 1921, René de Costa writes: “In this way, Huidobro constructs a text which forces the reader to associate ideas and establish the lexical contacts which make the metaphors detonate, creating a new and sparkling language in the process, a new way of poeticizing.” The fragment: “The poet makes things in nature change their lifestyle, retrieving with his net everything that moves in the chaos of the unnamable, hanging electric wires between words, remote spaces suddenly lighting up… ” Vicente Huidobro: Poesía y poética (1911–1948), Antología comentada por René de Costa (Alianza, Madrid, 1996). “Entrañable Gerardo” by José Hierro in a special homage issue of Punta Europa # 112–13, Madrid, 1966. Ricardo Gullón cites this statement of Diego’s in “La Veta Aventurera de Gerardo Diego” in Insula #90, 1953. 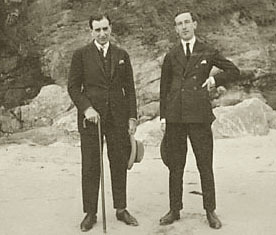 Gerardo Diego / José María de Cossío. Epistolario. Nuevas Claves de la Generación del 27 Edición de Rafael Gómez de Tudanca (Ediciones de la Universidad de Alcalá de Henares, 1996). Gerardo Diego (1896–1987) is perhaps the least known poet, outside of Spain, of the renowned “generation of ’27,” which included Federico García Lorca, Rafael Albertí, Pedro Salinas, Jorge Guillén and Luis Cernuda, to name a few. With the exception of Lorca, who was executed at the outbreak of the Spanish Civil War, and Diego, who remained in Spain, these others went into exile, which may explain, in part, why Diego is less known. Another factor may have been his compliance, as a devout Catholic, with the Franco dictatorship. And yet before the war Diego was among the most active of his cohort, having the foresight and taste to edit the groundbreaking and prophetic Spanish Poetry Anthology 1915–1931, in which he gathers this generation of poets for the first time, as well as this generation’s immediate mentors. He was also among the most fervent of his group to explore and embrace the avant-garde tendencies of his time, particularly creacionismo, which he alternates throughout his writing career with more traditional verse forms, making him unique among his generation. He also edited two journals: Carmen: a little magazine of Spanish poetry, and Lola: Carmen’s friend and supplement. Over the course of his career, his many books won all the major poetry prizes in Spain and he shared the Cervantes Prize with Jorge Luis Borges in 1979. An accomplished pianist and music critic, his day job throughout his professional life was as a high school French teacher. The last project to occupy Diego was the preparation of his two-volume Poetry. He completed the task, but his death on the afternoon of July 8, 1987, a month short of his 91st birthday, prevented him from holding the handsome hefty volumes, which finally appeared in 1989. 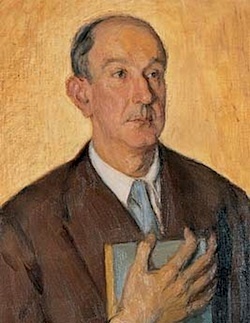 In 1996, on the occasion of the Centernary of his birth, various acts and exhibitions were organized, among them one at the National Library in Madrid titled Gerardo Diego and Spanish Poetry in the 20th Century.